Judith Leyster, one of the very few female genre artists during the Dutch Golden Age, was born on July 28, 1609 in Haarlem, Netherlands. There is scarce information about her earlier life and she came to the attention of the public when a painting thought to be created by fellow countryman and artist Frans Hals, was actually painted by her. Leyster was known for her still lifes, genre paintings and portraits. She was one of the first artists to experiment with the elusive effects of dark and light, doing quite a number of evocative and innovative night scenes. Her brushwork was known to be poignant and loose but bold, just like how she chose her subjects. Judith Leyster was a cloth maker and brewer’s daughter and she was still quite young when she started painting. At the age of 24 she was already a member of the Painters’ Guild in Haarlem. Unlike the other Dutch painters during her era, her range of subjects was quite broad. She was among the first artists to explore the domestic genre scene in her native country. It was not known if she apprenticed in the shop of Frans Hals, and according to Samuel Ampzing’s book, Beschrijvinge ende lof der stadt Haerlem, she studied for some time under Frans Pietersz de Grebber, a well-known portrait and landscape artist. 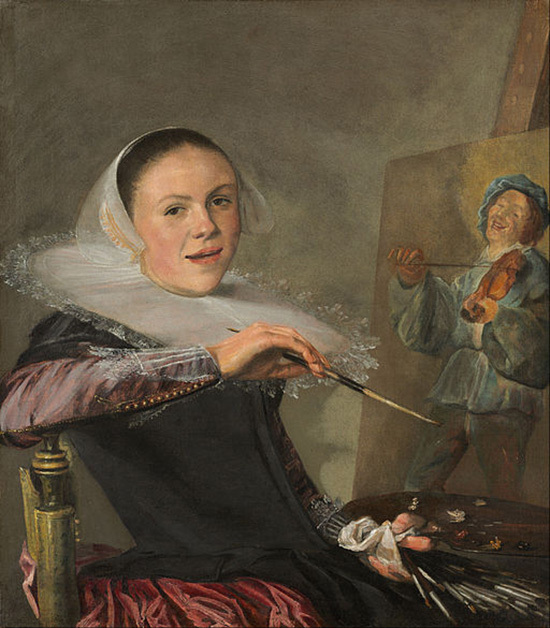 Still her works showed the strong influence of Frans Hals. It was believed that she was a close family friend of the Hals’s and might have even been the godmother of one of his children. Leyster was very interested in Utrecht School’s style of tenebrism. This is a more dramatic illumination of a painting, characterized by a more pronounced chiaroscuro. One of the best examples of this was her work called “The Proposition” where the subjects were illuminated by a lamp. Another one was called “Serenade” where the strong contrasts of light and shadows were more defined. A large number of her dated works were done between the years 1629 and 1635 before she married Jan Miense Molenaer in 1636. He was also a genre painter and they moved to Amsterdam after marriage. Some people speculated that Leyster started a career in art due to her father’s bankruptcy, which meant that she had to help earn for the family. In the 1620s Leyster’s family moved to Utrecht, which could be the reason why she got interested in tenebrism, because she got exposed to the followers of Caravaggio, who was the primary exponent of controlled chiaroscuro or tenebrism. The very first signed work of Leyster came out in 1629, which was four years before she became a member of the Guild of St. Luke in Haarlem, with her work showing “JL enlaced with a five-pointed star.” She was the second female artist who became a member of the guild. The first one was Sara van Baaldergen, who was registered in 1631. Just like van Baaldergen, Leyster was not a member of an established artist family and since they worked mainly in their own family’s workshops, they were not required to have professional qualifications to enable them to run their own workshops or to sign their work. Her admittance to the Guild made her a master painter and allowed her to have her own workshop and take on students. The “Self Portrait” that she did in 1633 was believed to be the painting that was presented to the Guild. Her work deviated from the norm of presenting rigid poses exemplified in earlier portraits of women. 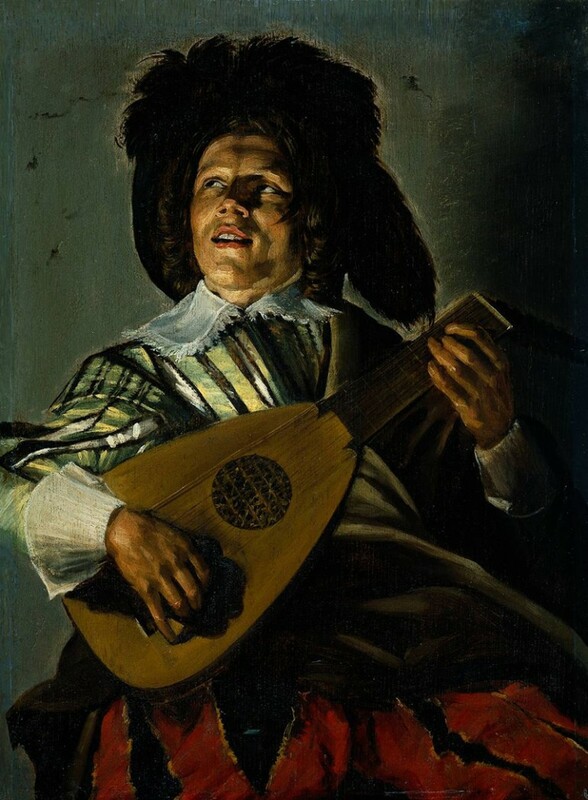 Leyster’s portrait painting had a dynamic and relaxed pose, which again seemed to show the influence of Frans Hals. Still, her self-portrait was somewhat unrealistic, because an artist would not be wearing such formal clothes when working. Leyster’s career seemed to slow down after she became a mother. She did work on some canvases and other works after 1635. In 1643 she did two illustrations for a book focused on tulips, a tulip species was actually named after her. She also did a portrait in 1652 and produced a still life in 1654. Moreover, it was thought that she did several collaborations with her husband, who was more prolific than her. Judith Leyster died in 1660 at the age of 50.